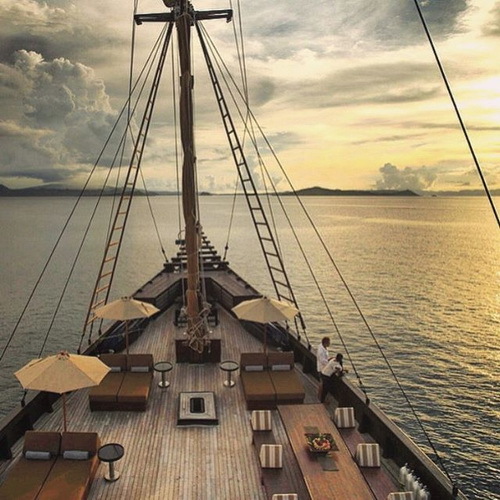 Tinuku ~ Luxury sailing yacht, Phinisi Alila Purnama, sail to Komodo in Nusa Tenggara Islands and Raja Ampat in Papua to traverse exotic archipelago. 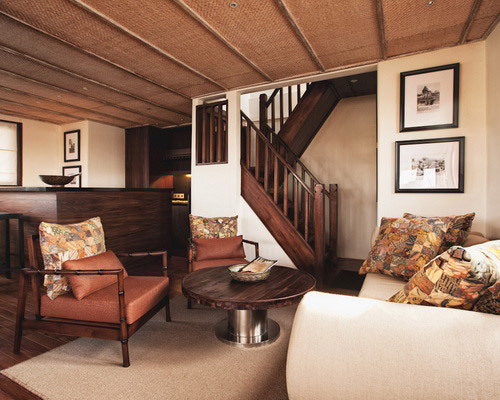 Traditional ship has super luxury facilities over five-star hotel. 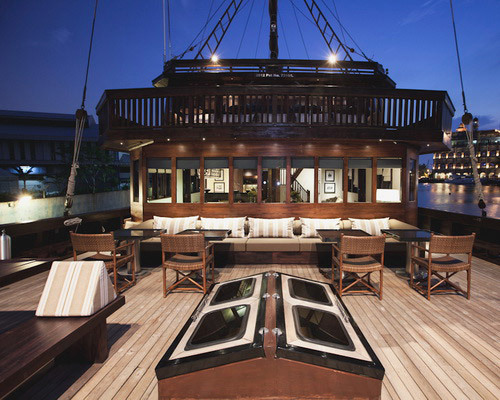 Floating boutique hotel by Alila Hotels & Resorts, Alila Purnama offers Komodo Island Expedition or Raja Ampat Expedition. Tenants invited to explore tropical rain forest, coastal and birdwatching in natural habitat. 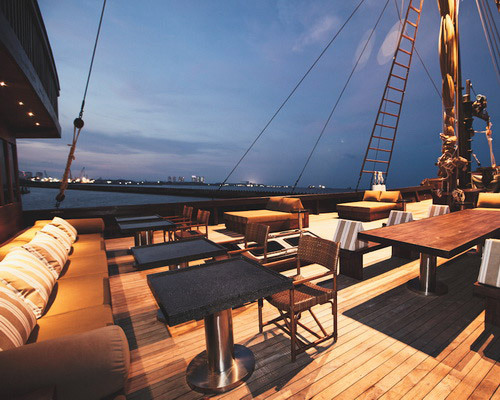 Alila Purnama is a 36 meter long ship designed to three-deck with super luxury facilities for 10 people. Splitting deep blue sea with green islands and then start adventure "hunting" ancient exotic animal the dragons. Dipping into ocean and feel warm sun on beautiful pink sandy beaches is a picture of trip to Komodo National Park in West Manggarai regency, East Nusa Tenggara. Watching giant dragon lizards and various marine activities such as diving, snorkeling or just relaxing swim. 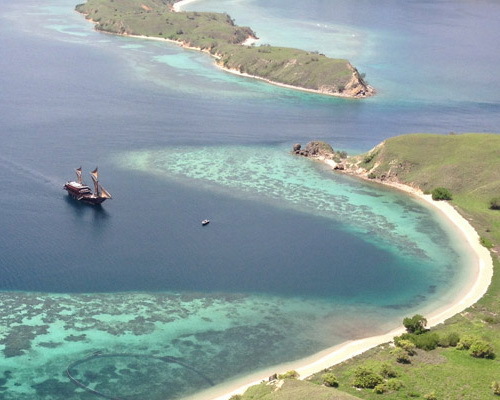 Taken aboard luxurious phinisi impressive from Labuan Bajo port to Komodo Island. 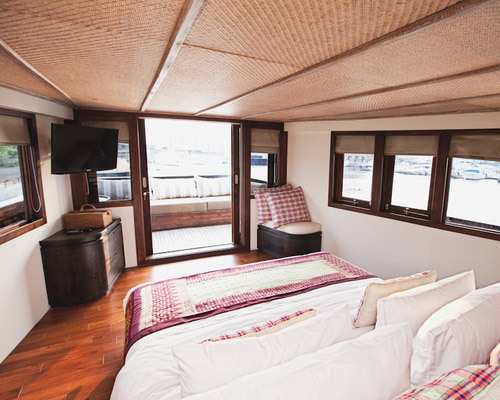 Guests do not spend night on ground, but stay in boat which is complemented by spa treatment, room suite, 30 square meter deck padded plush carpets and other luxurious amenities. 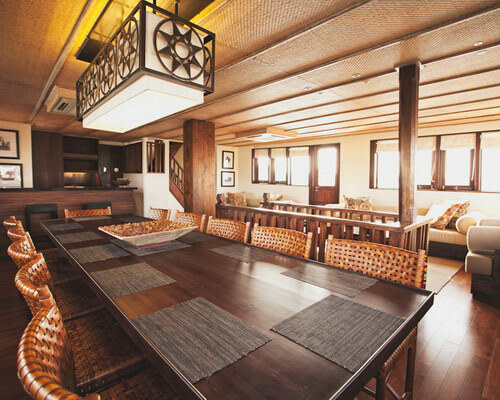 Private ship where tourists organize boat trip from departure point in Labuan Bajo. The cruising concept with exclusive privacy. 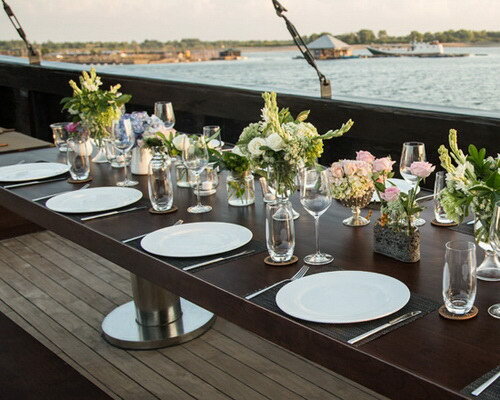 Cabins and food service like five star hotel, amenities sundeck, 6 bedroom cabin include regulating air-conditioning, hot shower private bathroom, modern navigation and back-up speedboat, dinning room, longue area, life jackets and snorkel gear. 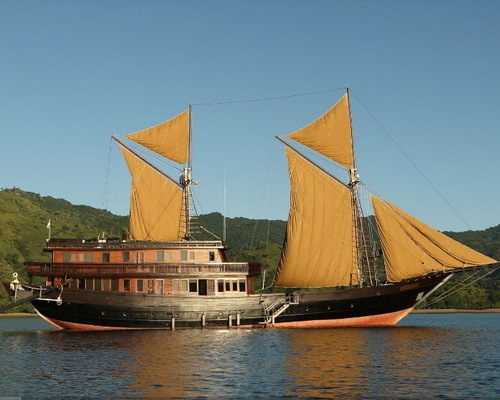 Phinisi is ship with two main masts and seven screens sheets built by wood craftsmen in traditional shipyard in Bira, Bulukumba regency, South Sulawesi. Iron wood board fitted layered sheet from beginning to form hull. 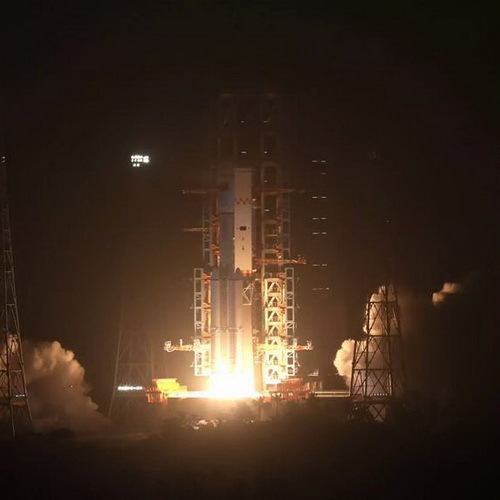 Phinisi made history as kind marine transportation is very tough. Today phinisi undergone many changes in form and function, one of them to travel Komodo island as cruises to cater to tourists.